15.2-27.4 meter (50-90ft) evergreen tree. 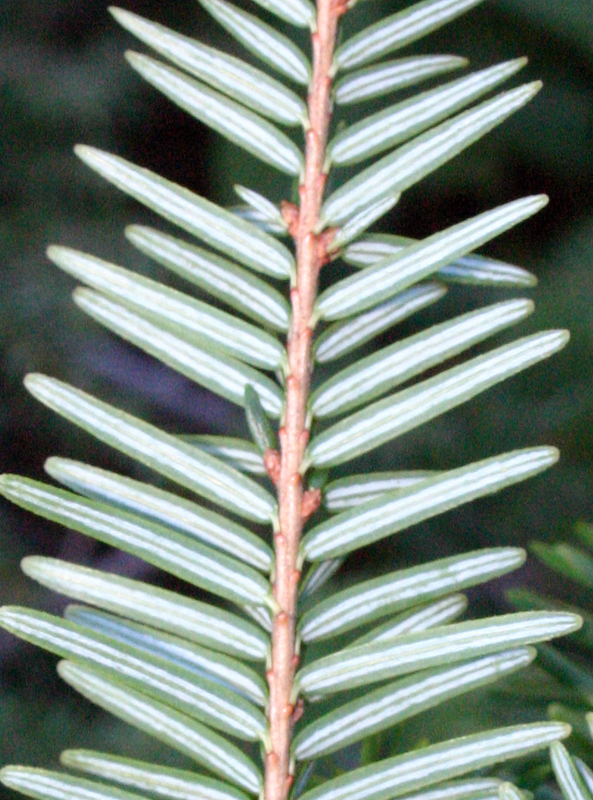 Needles are flat and short on slender stalks. 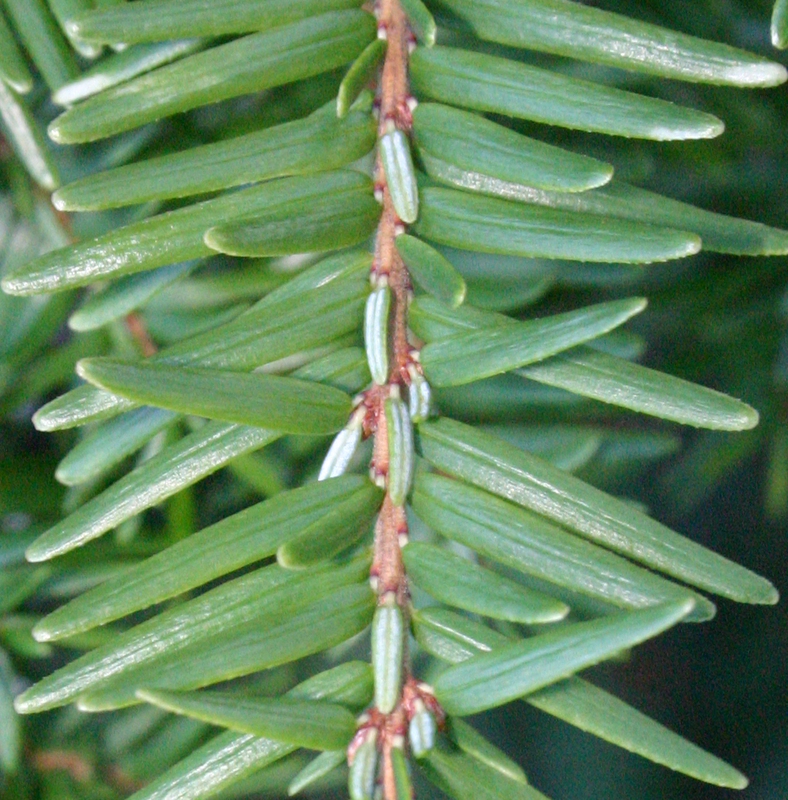 Needles are green on top, white beneath. Cones are small and drooping with rounded scales. Found on hills and in rocky forests. 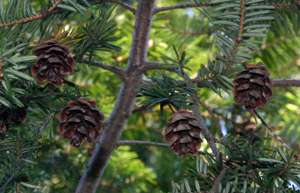 Ranges from Nova Scotia to Maryland and into the Midwest. Twigs with many needles used in tea to treat kidney ailments. Steam from tea used to treat rheumatism, colds, and coughs. Used in tea to treat colds, fevers, diarrhea, coughs, and scurvy. Also has astringent properties. 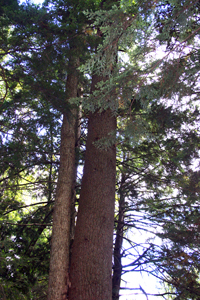 Bark poultice used for treating bleeding wounds. 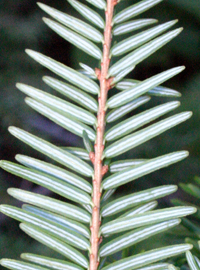 Tannins in the twigs and leaves are believed to be responsible for all medicinal effects. 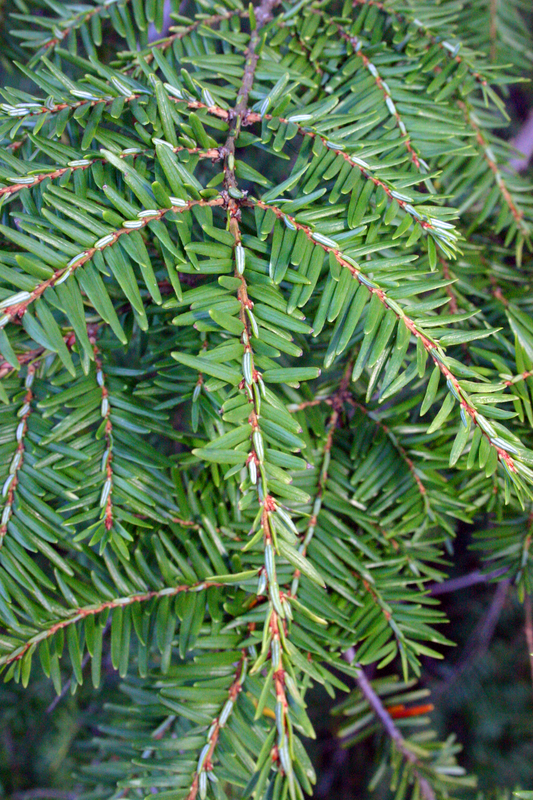 Hemlock leaves contain some vitamin C. Bark may also be useful for tanning leather.